Marijuana is one of the most commonly used drugs in our country. Depending on your size, experience and genetic tolerance, it can be hard to realize when a drug like marijuana will begin to affect your motor skills. Drivers young and old, frequently get behind the wheel of their car either under the influence of marijuana or while in the process of smoking marijuana. If this happens to you and your are pulled over by local law enforcement of the State Police, you could be facing serious criminal and DWI charges. Throughout Burlington County towns like Evesham, Mount Holly, Pemberton, Medford, Moorestown, Bordentown and Burlington Township, cops are on the lookout for Intoxicated Drivers. If you have been stopped, put through field sobriety tests, arrested and charged with a DWI in New Jersey, contact the Law Offices of Proetta & Oliver. DWI charges are complex and fact-specific. Officers must follow certain protocol whenever they conduct a stop and failure to comply with these rules can result in a dismissal of the charges. For more information and your complimentary consultation with an attorney, call 609-850-8284 today. Firm Partner and Former NJ Deputy Attorney General, William C. Fay, IV, will review your case with you and your family to help you make an informed decision on how to proceed. How to Beat a Marijuana DWI Charge in New Jersey? Almost everyone charged with Driving While Intoxicated wants to know how to beat the charges or how to get them dismissed. This isn’t a simple answer. Every case is different. Generally, when reviewing a DWI charge involving drugs, our attorneys seek out the officers credentials. 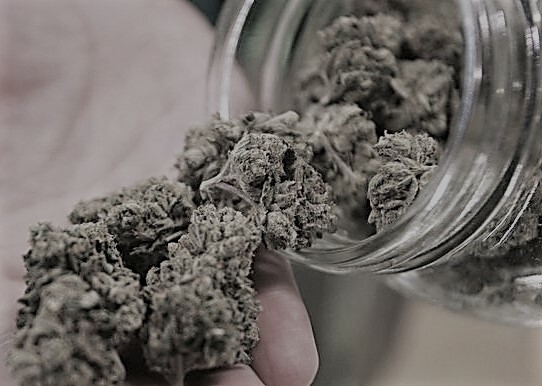 In any DWI case involving marijuana of prescription drugs, the officer will have to rely upon his or her training, in addition to any toxicology reports obtained (drug tests). However if the officer is not qualified as a Drug Recognition Expert (DRE), then it will be difficult for the Prosecutor to prove that you, as the driver, were intoxicated at the time of the motor vehicle stop. It is imperative that your attorney challenge the arresting officer’s credentials in an open hearing. This will allow us to prevent expert testimony on your behavior or appearance during the traffic stop. Do not let an unqualified officer arrest and charge you with a DWI. Contact our Mount Laurel Office immediately for a consultation on your charges. What if the Officer is Not a DRE? Unfortunately, the court may still proceed with your DWI charges even if the arresting officer was not a Drug Recognition Expert. In State v. Bealor, the New Jersey Supreme Court held that competent lay observations of the fact of intoxication, coupled with additional independent proofs tending to demonstrate defendant’s consumption of narcotic, hallucinogenic or habit-producing drugs as of the time of the defendant’s arrest, constitute proofs sufficient to allow the fact-finder to conclude, without more, that the defendant was intoxicated beyond a reasonable doubt and, thereby, to sustain a conviction for driving while intoxicated (DWI). While there are still grounds to challenge an officers qualifications, you should consult with an attorney on a case-by-case basis. DWI or DUI charges in New Jersey are issued the through a traffic ticket and cite the statute N.J.S.A. 39:4-50. Pursuant to the law, it is illegal to operate a motor vehicle while under the influence of alcohol or drugs. However, proving that someone is under the influence differs when the intoxication is from drugs like marijuana. In those cases where the DWI involves drugs, the State will attempt to introduce various forms of evidence like admissions, blood/urine testing, and visual inspections. If you are found to have a burnt smell of mairjuana coming from your car, coupled with an inability to complete field sobriety tests, then the Municipal Prosecutor may use this to obtain a conviction. What is important for the Prosecutor is establishing a link between the presence of marijuana and the objective evidence demonstrating that the physical or mental capabilities of the driver were impaired. In the end, all that we need to prove on your behalf is that reasonable doubt exists. Drunk Driving or Impaired Driving charges carry an escalating scale of penalties, depending on your prior record. If you or someone you love have been charged with driving under the influence of marijuana in Burlington County, do not panic. Contact the attorneys at Proetta & Oliver immediately and learn what can be done to help mitigate your exposure to license suspension and jail time. Our firm can be reached 24/7 by calling (609) 850-8284.